I suggested that they change one feature of it: I don't think the mountains in the background represent the area likely to be proposed as the new state very well. There certainly are mountains here (some of them would probably serve as the dividing line between much of the new state and Washington state, and there are the Blue Mountains in the southeast of the current state, which I live right up against), but wheat fields, apple orchards, vineyards and such placed in the background behind Madison would capture more of the spirit of this region. After all, the creators of this placed "Agriculture" right there in the seal. Other than some logging here and there, there's not a lot of agriculture going on up there in the Cascades that I'm aware of. 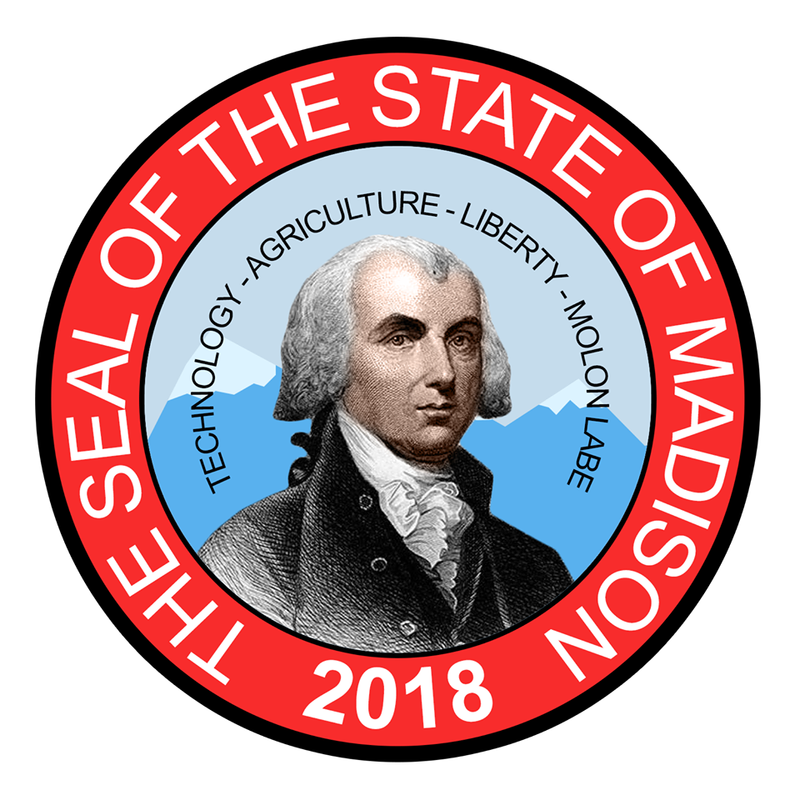 It's also good to see "Liberty" and "Molon Labe" right there in the proposed emblem of the new state. As an indication of the character and direction the new state could take, it's very encouraging.